PLC RAO argue property rights grazing allotment | RANGEfire! 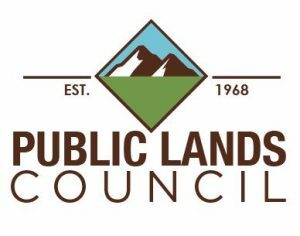 I have been sitting back waiting for the dust to settle a little bit in the recent dust-up between the Public Lands Council (PLC) and the Range Allotment Owners Association (RAO). The dust-up has actually been fairly one-sided, with the PLC and some of its attorneys, whom PLC Executive Director, Ethan Lane, has described as a “deep bench of legal talent,” engaging in an aggressive attack on the ROA, its executive director, Angus McIntosh, and his theories about private property interests in the split estates of federally owned/managed lands, including grazing allotments. Long-windedness is something I inherently struggle with, but even a short-winded person could write a book about the fundamental principles at stake. Since I struggle with long-windedness anyway, I’m going to cut straight to the chase. 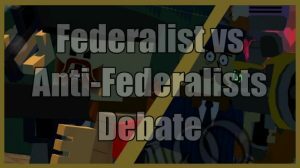 This argument/debate is really nothing more than a flare-up in the long-running Federalist/Anti-Federalist Debate that 200+ years ago produced the United States Constitution and the first 10 amendments, known as the Bill of Rights. And the fundamental underlying principles go back much farther — based on the “Laws of Nature and of Nature’s God,” that have been in place for millenia, since the dawn of time. 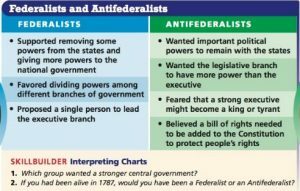 In the original Federalist/Anti-Federalist Debate that produced the U.S. Constitution and the Federalist Papers, the Anti-Federalists expressed four primary concerns about the Constitution as drafted and adopted following the Constitutional Convention:: 1) that the newly proposed constitution gave too much power to the federal government, with no effective means of accountability to the states/people; 2) it bestowed too much power on the executive branch of the federal government; 4) it provided inadequate protection of states’ rights, and; 3) it failed to adequately protect the fundamental, inherent, unalienable rights of individuals, including property rights. Although all of the new constitution’s asserted short-comings were thorny issues, the most thorny, and the one that ended up carrying the most weight in the discussion turned out to be insistence on the recognition and protection of natural, inherent individual “rights.” As it turned out, it was not even possible to secure state ratification of the proposed constitution, as drafted, without first adding the Bill of Rights in the first 10 amendments to the constitution, which were added before it was ratified by the original 13 colonies. The reasoning seemed to be that if the fundamental rights of individuals could be carefully secured, perhaps those aligning with the Anti-federalists could take a gamble on the rest. In retrospect, however, all of the Anti-Federalist concerns seem to have been spot-on. When it comes to basic, inherent, natural rights, property rights, based on the fundamental principles of prior appropriation, possession, and beneficial use are among the very most fundamental of inherent, God-given rights bestowed by our Creator. Millenia of natural law support and demonstrate the fundamental realities of these principles, including the concepts of “first come first served,” “use it or lose it,” and “possession is 9/10ths of the law”, yet meaningful discussion of fundamental property rights issues has often proven to be a challenge. Unfortunately, fundamental property rights did not receive adequate attention in either the original constitution, or in subsequent amendments. 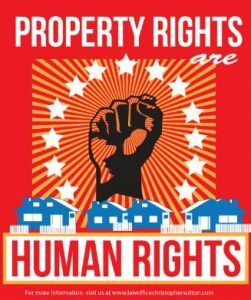 Although the foundational concept of essential property rights was fundamental to all the founding fathers of this nation, discussion of that issue received short shrift at the time because it was such a fundamental, universally understood principle that they didn’t see the need to state the obvious. In addition, at the time, the common working definition of “property” was controversial because it included black slaves. Consequently, rather than thoroughly address, discuss and even resolve the property rights issue, once and for all, it was easier to simply gloss-over the concept of fundamental property rights. And to a large extent it has been getting glossed over ever since, as the federalists of that era have morphed into the progressives of today. If there is one thing this country has experienced, as part of the progressive socialistic agenda that over the last 50 years has gotten its claws deeply imbedded into both major political parties, it has been constant, steady attacks on and continual erosion of fundamental property rights of every kind and at every level. Unfortunately, like most people in this country today, including PLC and its attorneys, the Republicans who lead this state and this nation and purportedly subscribe to these principles don’t practice what they preach in this fundamental regard. Consequently, as is often the case, policy is dictated more by the personality issues involved that it is by fundamental principles of sound government. One very clear recent example of how this all plays out is Utah’s recent legislative enactment of the Utah Public Lands Management Act. When the Act was adopted a year ago, among other things it was criticized for its failure to recognize basic, fundamental pre-existing rights, including private property interests in the split water and forage estates of grazing allotments. But when the Bill’s sponsors were given the opportunity in the current legislative session to come back and address the property rights issue, as part of the amendments they are currently debating, they have done nothing to address the issue. 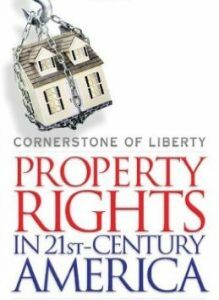 According to some, fundamental property rights concepts have simply become too unpopular with the masses in pop culture, and are now considered politically incorrect in the popular socialistic agenda, so many are not even willing to talk about it — just as happened in the original Federalist/Anti-Federalist Debate. Consequently, the record speaks for itself. When it comes to political protection of fundamental property rights the silence is deafening. Following this theme, and acting as the federal government’s messengers, PLC and its attorneys argue that the only so-called rights grazing allotment owners have are those that stem from the permit agreements they sign with the federal government — i.e., the federal government and its permits are the sole source of all rights. This is exactly the same position many state and local governments take with respect to the land-use ordinances they have recently adopted governing the use of private, deeded land. 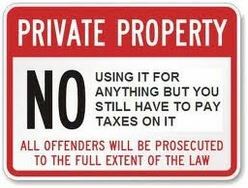 Under the concept of fundamental, inherent, unalienable property rights, property owners should have the right to do anything with their property that they are not expressly prohibited from doing, for good cause. 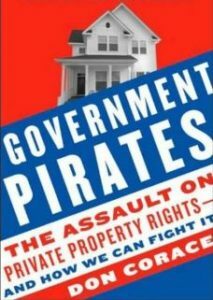 Now, applicable land-use ordinances (including the one that governs private land use in the large agricultural county where I live and operate) have purportedly revoked all inherent, unalienable property rights, and replaced them with a one-size-fits-all approach in which any and all property rights are “granted” by government. This approach likewise requires permits and payment of fees to use one’s own property. In most cases applicable ordinances say something to the effect (as it does in our county) that property owners are “prohibited from engaging in any use of their property of any nature whatsoever, without first applying for permission from [the government] and paying the applicable “use” fee.” Any and all un-permitted use is strictly prohibited. Consequently, contrary to the fundamental concept that it is not the proper role or function of government to attempt to “grant rights,” it is this same “government-is-the-source-of all-rights” approach that the federal government has likewise taken regarding grazing allotments, and that the PLC has fully embraced in its cozy, cooperative relationship with both the National Cattlemens Beef Association (NCBA) and the federal government. This relationship is manifest, among other things, in longstanding Memoranda of Understandings between the PLC and the U.S. Department of Interior and the BLM. Despite FLPMA’s express statement that the Act itself is subject to all valid, pre-existing rights, based on this approach, the federal government takes the position that ranchers have no rights, only privileges, and that all such privileges are the product of fully revocable one-sided permits with the government, under which the government dictates all terms and conditions. This flies in the face of the fundamental principles of natural law, including prior appropriation and beneficial use that serve as the foundational basis for all Western water law, and all the Homestead Acts by which the federal government sought to dispose of interests in federal lands in the West. Although PLC and it’s purported “deep bench of legal talent” claim to represent and protect ranchers’ interests, the record speaks for itself — these people simply don’t believe in fundamental property rights, and are complicit in a well-choreographed dance, as partners with the federal government, under which they have presided over a massive decline in AUMs and stocking numbers on federal ranges over the course of the last 40-50 years. According to a very single-dimensional, one-sided recent article in the Salt Lake Tribune, about previous abuses and overgrazing, in 1967 the Forest Service supposedly “rescued” Utah from overgrazing with a 50% reduction in AUMs and stocking numbers. That was the year before the Public Lands Council was established in 1968. Since FLPMA was enacted less than 10 years later in 1976, stocking numbers in many areas in the West have been reduced by another 50%, while wild horse numbers have multiplied, and massive wildfires have raged out of control. That is a 75% reduction in stocking numbers in the last century. Now, the same kind of flooding that occurred a century ago because of overgrazing happens because of devastating wildfires in the same areas. The pendulum has swung far to the extreme in the opposite direction — all under PLC’s watch. Again, the record speaks for itself. In conclusion, it is fair to say that reasonable minds may disagree. I am aware of a growing number of equally capable and well-qualified attorneys who disagree with PLC and its attorneys on these issues, including Mark Pollot, Morgan Philpott, Korry Lewis, Hariett Hageman, Bret Whipple, Roger Roots, Blair Dunn, Fred Kelly Grant, and myself. PLC and its attorneys have suggested that the best way to resolve this issue is to pursue a long, protracted and expensive legal battle. This is not surprising, coming from lawyers. 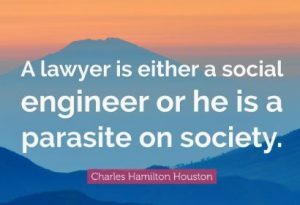 If there is one thing (and the only thing), that the legal system, the legal profession, and the so-called justice system are particularly effective and efficient at, it is transferring power and resources to the legal profession. Consequently, PLC’s self-described deep bench of legal talent have done very well for themselves as ranchers have experienced a 50% cut in their AUMs and stocking rates, and the ever-increasing weight of more regulations, all under these lawyers’ watch and legal stewardship. Again, the record speaks for itself. There is an old adage in the legal profession to the effect that: “A small town that can’t support one attorney can always support two” — because with two attorneys they can keep things stirred up enough to keep everybody busy. Ant that seems to be exactly what PLC and its attorneys are trying to do. Rather than work together to stand-up for and protect fundamental property rights, apparently they would rather just preserve the status quo, smiling all the way to the bank, as the western ranching industry they purport to love, support, and defend continues to deteriorate under their watch. In the meantime, while PLC and its attorneys actively reject the notion that ranchers have actual “grazing rights,” including valid private property interests in the split forage and water estates on federal grazing allotments, based on prior appropriation and beneficial use, as a matter of policy this country has embraced the popular position that women do have a fundamental right to abort unwanted babies, and LGBT couples do have a fundamental right to marry. Yet PLC rejects the notion of fundamental property rights. Maybe its time to drain the PLC swamp too.